Something told me this book will be good. It turned out to be fantastic window to a corner of Siberia and its famous resident, the Siberian Tiger. I don’t know what made me buy this book. I just knew it will be good. The book was about the biggest member of the cat family and it was set in Siberia, a part of the globe that must have fascinated every school student who liked geography. Sooyong Park is an award winning documentary film maker who has devoted more than two decades to studying and filming Siberian Tigers. 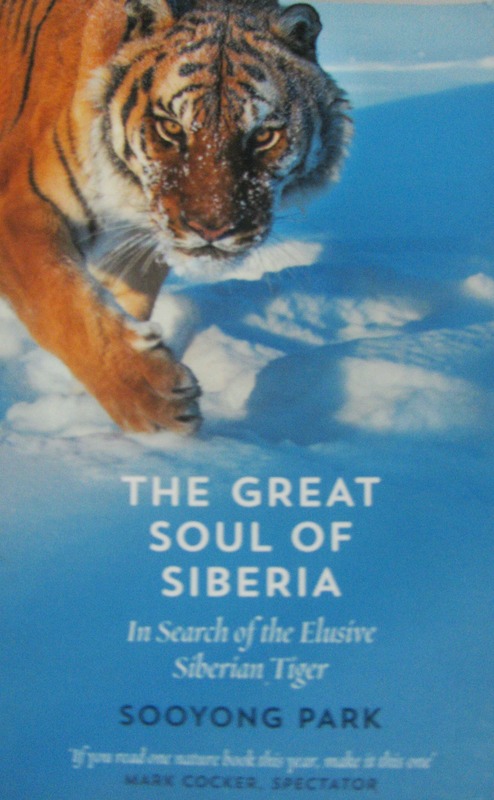 His book The Great Soul of Siberia gives you a ringside view of seasons spent tracking and observing the big cat in Siberia, including some incredible close encounters. It is written with much compassion for the book’s main protagonist, the Siberian Tiger – its magnificence as an animal; the reverence it is given by the native people in Siberia’s south eastern corner and its endangered status courtesy hunters, poachers and the pressures its natural habitat faces. Probably because he is a documentary film maker, who as part of filming studies his subjects, Park’s writing is engagingly visual and moves like a story. The science and statistics of research are there. But they do not deprive tiger of life or leach the magic from Siberia. Park keeps nature wholesome and intact; his descriptions make the landscape he is in, come alive. The author goes about his narrative at a relaxed pace, slowly building up momentum. The first quarter of the book is largely devoted to sketching the natural environment in which the tigers live. At this stage, the book’s tigers are mostly the stuff of pugmarks in the sand and informed speculation around scenes of prey killed. It is valuable education, providing reader an understanding of how the traces it leaves are used by researchers to build a picture of the animal in question and what it may have been up to. For a couple of chapters, the tigers of The Great Soul of Siberia remain ghosts. Then, commencing with one extended stake-out in wilderness, waiting to photograph and document the tiger, the book barrels into a story spanning three generations of a tiger family. Doing so, it provides reader insight into the behavior of tigers, what each of their actions mean and how genuinely intelligent these creatures are compared to the assumptions in our head. The author’s love for the tiger and his compassion for it shine through without it ever resembling the caricatured compassion that our comic books and animated movies award wildlife. Here you see tigers as they are, you see a feline family’s fight for survival in nature under duress. It is a tragic story. You also see what life as documentary film maker in wilderness, really means. Sooyong Park takes you into the minute details of a stake out – how they last for several weeks, the many restrictions it imposes on photographer waiting to see the elusive tiger (you have to make sure that no sign of your presence in terms of sight, sound or smell is there locally), the toll it takes on person and the reward in learning it brings even when your cameras are smashed by tigers that have learnt to detect and destroy them, even when a tiger nearly lands inside your bunker. This book is pure love for subject and it shows. For me, The Great Soul of Siberia was another one of the gems found on the shelves of Modern Book Centre, Thiruvananthapuram. 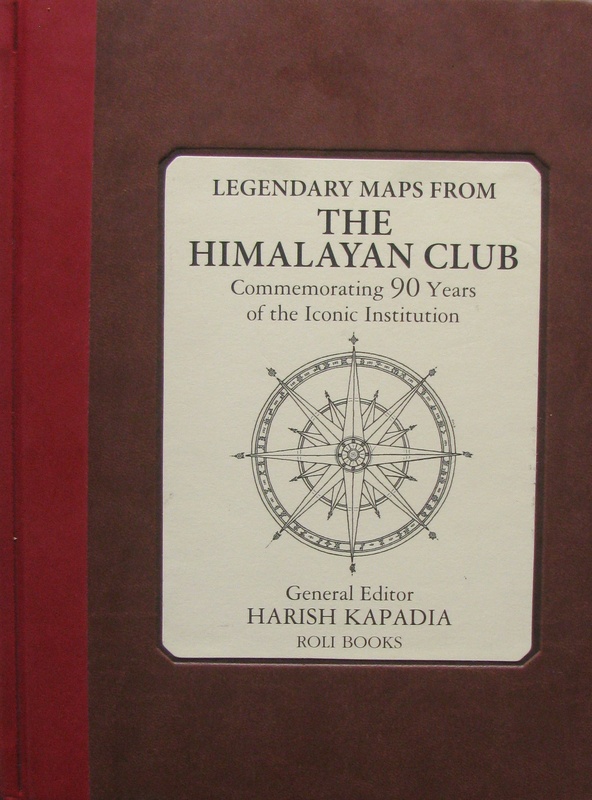 Legendary Maps From The Himalayan Club, is a book packaged to be collector’s item. The concept – each chapter as sketch map of mountain visited plus supporting article – is essentially tribute to an old habit at the club commenced by The Himalayan Journal’s very first editor, Kenneth Mason. A geographer and surveyor, he made it a point to insist on sketch maps accompanying expedition reports published. These maps gave a quick overview of the region visited along with route taken. Since then as The Himalayan Journal continued to be published, the club has steadily accumulated sketch maps. Harish Kapadia, veteran mountaineer and explorer of the Himalaya who also served many years as The Himalayan Journal’s editor, avers that the total number of sketch maps with the club should be several times more than what has been published in the book. Besides encapsulating the human trait of observing and helping to reinforce narrative, these maps also have a few other uses. Speakers of languages other than English have contributed considerably to exploration and climbing in the Himalaya and Karakorum. An account in English by them for The Himalayan Journal is a narration in alien tongue. Writer struggles for correct word and tone. Like a picture that speaks a thousand words, the sketch map compensates for any shortfall in narrative. Further according to Kapadia, the Survey of India has been quite conservative in making maps available to trekkers and climbers visiting the Himalaya. For reasons best known to the establishment, detailed maps in the hands of civilians, is deemed a security risk. In turn, lack of reliable information on mountain features has caused errors at expeditions; some have climbed the wrong peak. In such context, Kapadia believes, the hand-made sketch maps of The Himalayan Journal help to get a bird’s eye-view of a region or a mountain massif, at the very least develop a mental image of what visitor is getting into. However, between the two – evoking the spirit of exploration with its accompanying human quality of noticing one’s world, and map as comprehensive tool for location in perspective – it is probably the former that this book celebrates. For instance when you study a sketch map with archival article alongside by a Bill Tilman; T.H. Braham, John Hunt, Giotto Dainelli, Maurice Herzog, Bob Pettigrew, Victor Saunders, Kinichi Yamamori, Andre Roch, Chris Bonington, Martin Moran, Major J.K. Bajaj or Kapadia himself, the take away is a slice of human experience in that time, that year. As of 2018, The Himalayan Club was ninety years old; to choose maps and articles, the book’s team of editors scanned editions of The Himalayan Journal from the late 1920s onward. There are photos too, from the club’s archives and Kapadia’s personal collection. Make no mistake – this is not a book that replaces the utility of Google Earth. Through its combination of sketch map and narrative, the book reminds you that the act of being outdoors and exploring is essentially founded on one’s senses. Comprehension – that is what you gain when you sketch a map and the quest to comprehend is timeless Google Earth or none. Given all the maps and articles are from The Himalayan Journal, Kapadia who served as general editor for the book said that curation from archives was based on attributes like a given article being interesting or having a humorous tone, writer being famous or an incident mentioned being important. “ Priority was for sketch map. A well written piece to accompany followed availability of sketch map,’’ Kapadia said. The written narrative is mostly in the form of abstracts from the original article. In the old days, sketch maps for publication were hand drawn. Over the last 20 years or so, a key person in this craft at the club has been Pune based-Aparna Joshi. 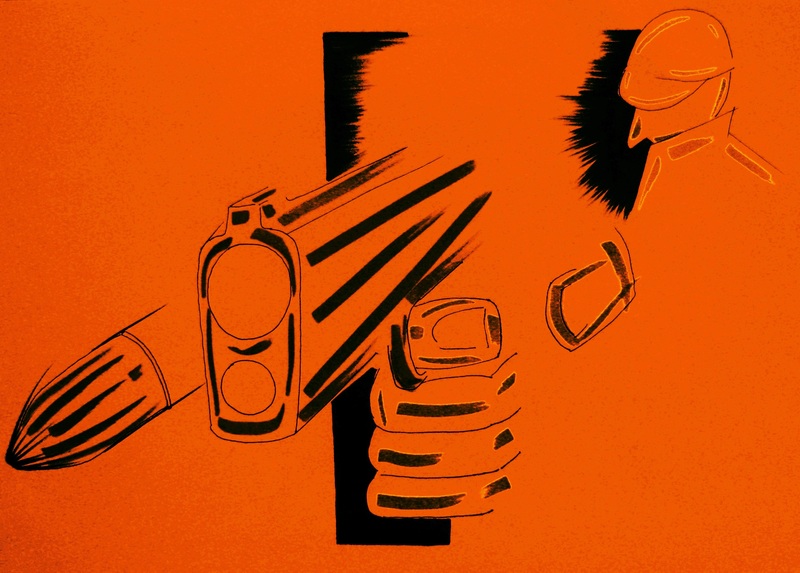 A commercial artist and graphic designer associated with The Himalayan Journal’s production, she provides final form to the sketch map accompanying an article. According to her, on most occasions Kapadia provides the basic sketch. She would then render it using computer software. “ We don’t use cartographic software or anything like that. We use regular software used for illustrating. Our need is limited to showing areas visited and specific routes taken to climb or trek,’’ she said. Visual clues like variations in elevation or the prominence of ridge lines are indicated in a rudimentary way. The maps are generally flat in appearance. Emphasis is on helping the reader to understand. “ The idea of bringing out a book based on sketch maps had been there for some time. The club’s ninetieth anniversary seemed apt juncture,’’ Kapadia said. Can you explain the circumstances and curiosity that led you to write this book? On my first visit to South Asia when I was nine years old, I went with my parents to Kathmandu. Even then I was struck by a variety of things including things I saw that I didn’t understand. Later out of my own curiosity, I wanted to learn about the hippie era in Nepal and I started looking for books on the topic. I discovered that there were no good books that tried to explain what was going on at that time. Eventually I realized that if I wanted to read this book I was going to have to write it myself. For thirty years I have been collecting information on the topic. In the meantime I have written other books. But this is kind of a labor of love. I have written it more for a general audience and not an academic audience as I normally do. It is really an effort to answer questions that I had myself, which I couldn’t find answers to. You mentioned in your talk after the book award that people tend to project on to the Himalaya what they came seeking; that they end up seeing what they came looking for. Can you explain that? It is not people in general but people in the West who have a kind of exotic image of this place, which over the centuries they have been socialized into. Also, people – what I try to argue in the book is that the kind of westerners who come to India or Nepal are not the typical tourist. They tend to be counter-cultural in one way or another; they are looking for something that they don’t find at home. Again for complicated reasons, the Himalaya has emerged as this last unknown place, this last forbidden landscape and it becomes a convenient place to imagine where things might still be that are thought to have been lost at home. What I am trying to suggest is that people come looking for things that they imagine they have lost and they think might still be there in this remote place. To a certain extent, they find them. 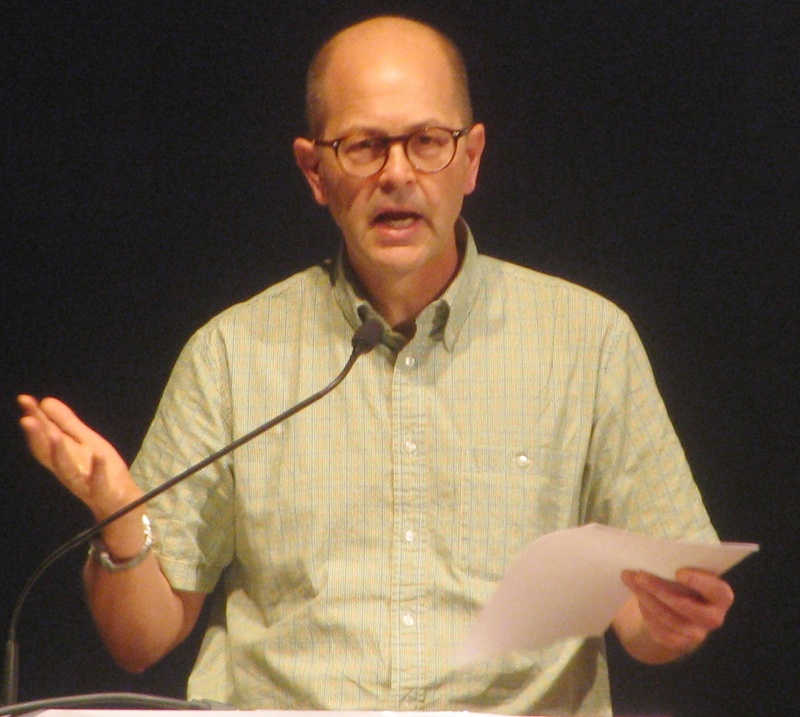 In your talk, you also mentioned of the divide that the Himalaya represents between the cultures of India and China and how that adds to the western imagination of what it is…. In there I am just making a basic semiotic point that how – because of the way we construct our mental and geographic maps, inevitably we construct in-between places and those in-between places, between civilizations are thought to be uncivilized. Often they are also thought to be unpopulated even though there are people living in those places. The Himalaya has emerged as one of those in-between places. But I also attempt to argue that some people assume that mountains themselves are inherently marginal. I don’t think that is the case because if you look at the world’s second largest mountain chain in South America, it is the opposite – it is the mountains themselves that are the civilizational core and the lowlands are the mystical borders. So the way in which we imagine peripheries has at least as much to do with our own mental construct as anything inherent in the landscape. Many decades ago, two significant developments happened near simultaneously, in my extended family. Two uncles, two comic strip heroes and a bunch of school going cousins – that was the context. My uncle Narayana Pillai got me Flight 714, my first title from the series showcasing the adventures of Tintin. Until then, the only illustrated narratives I was familiar with were the ones from Marvel, DC, Indrajal and Amar Chitra Katha. They had strong following among school students, to the point that classmates with bound volumes of comic books were important people to know. I didn’t have bound volumes. Although my mother helped out by borrowing bound volumes from a local lending library, in general I suspect, my parents and grandparents held the view that comics, while popular, made for simplified narrative requiring less imagination. Reading was encouraged, purchase / borrowing of wholesome books approved. Days when the cousins got together typically featured a morning or afternoon of painting. Imagination was encouraged. A picture may speak a thousand words but the mind gets useful stretch if it can paint a picture from a word or a theme, perhaps even nothing – that seemed the approach. Into this ambiance landed Flight 714 and at the house of my cousins – Rajeev and Manju – thanks to another uncle: Sachidanand, a handful of books featuring Asterix. It took me a while to warm up to Tintin. 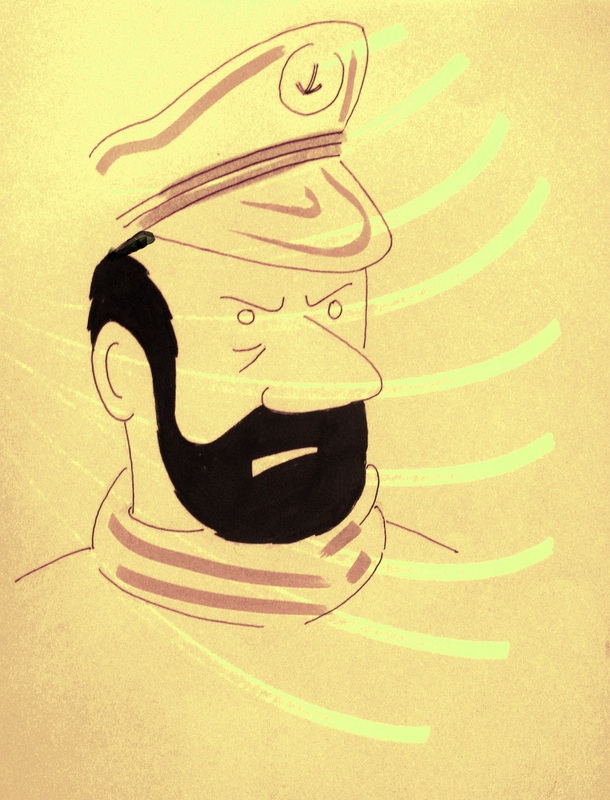 But you guessed it right – it took no time to like Captain Haddock. Who can forget “ thundering typhoons’’ and “ blistering barnacles’’? I also remember liking Skut for no stronger reason than that he was a pilot in Flight 714. Those days I shared a craze for aircraft with my cousin Jayu. Both of us had those small, thick Observer books with plenty of fighter planes in it and we spent time piecing together our respective air forces, which then competed for supremacy in the sky. We also made model aircraft from cardboard, Jayu being infinitely better at the job than I. Flight 714 thus landed at the correct time. My mind was ready for adventure. What attracted me to Tintin were also perhaps the size of a Tintin book and the average length of a story. Uniquely, it was bigger in size than the regular comic book. It told a full-fledged, long story spanning continents, sometimes taking two issues to finish; a sort of early introduction to the graphic novel format that would become popular decades later. What I remember most is however something else. Maybe it is a larger Malayali trait, maybe it is a family trait – I don’t know which of the two is correct –we had the tendency of analyzing experiences. At near fifty, I understand childhood better now. It is a phase when you have the luxury to do something because you feel like it; no analysis in the mix. 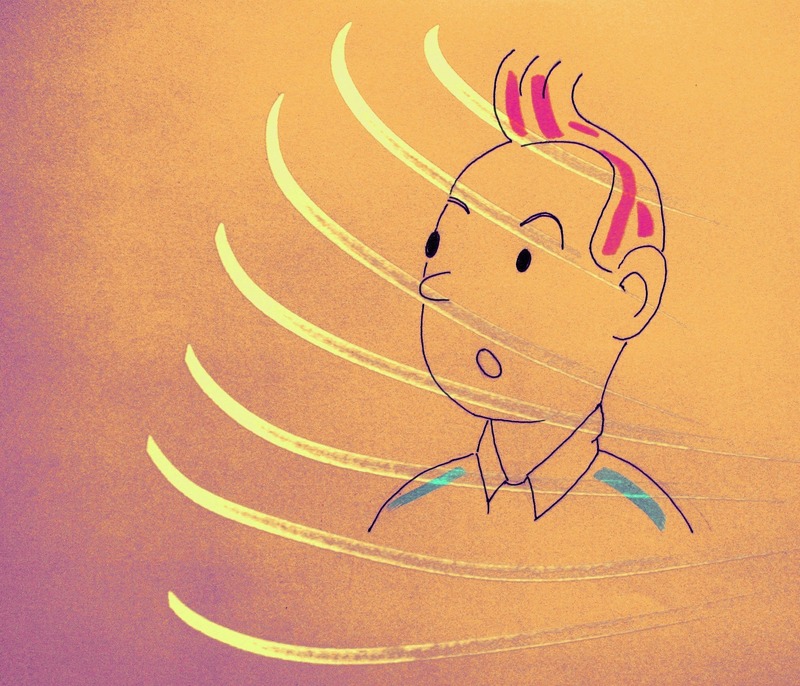 Impulse and intuition are not unfashionable. Our passage to adulthood is fueled by just the opposite. We become adults by analyzing to make sense, till we become armchair analysts of all that is alive and stirring. Expectedly, my extended family put Tintin and Asterix under the scanner. The emergent fascination among the children for these two series triggered discussion among the adults. It was a discussion revolving around idea, story and artwork; we had no clue of such political details like Tintin’s origin in a Belgian newspaper identified with far right views. I remember the outcome. Asterix stayed ahead because its illustrations were bolder and had more flourish. Asterix stories with their play on characters’ names were also more deeply imagined and as the more sophisticated, layered comic book it was respected that much more because childhood is after all stepping stone to more sophisticated adulthood. None of that bothered me. I like Asterix. But Tintin is special. Something about it appealed to childhood’s idea of adventure. My uncle probably noticed the brewing interest. His work took him often to other cities in India. Occasionally, it also took him overseas. Almost always, he returned with another title from the Tintin series. All the titles were displayed on the back of each book. So it was easy to identify what you hadn’t read and hunt for it. Tintin made me do crazy things. One of them was my scale drawing of a rocket. I arrived an evening with my father at the house of Rajeev and Manju. Their father – Govindan (he was a physics professor) – smiled and indulged me with his time and patience as I explained how my rocket would work. It was all well illustrated in the drawing on large graph paper – the fuel tank would feed the engine and my rocket would escape Earth’s gravity and be moon-bound. Why shouldn’t it? I had a rectangle with dials on it, labeled ` control panel,’ another rectangle with pipeline attached, labeled ` fuel tank’ and yet another one marked ` engine.’ That last rectangle ended in a nozzle copied from one of the jet engines in my Observer book. In retrospect it’s a good thing I didn’t join the Indian space program. In those days of economy yet to open up like now, each Tintin bought traveled to multiple homes. At every home a kid or two eagerly lapped up the contents. Sometimes titles got exchanged at school; I will lend you my title if you lend me yours, which I haven’t read – that sort of deal. And unlike, regular comic books, which few bothered if they got misplaced or torn through lending, deals over Tintin and Asterix were deals of honor. Misplace or mishandle, you risked being branded unreliable for life. That adds a touch of mystery to how my Tintin collection – all titles acquired save four; that’s 20 out of 24 – fared, once I reached college and employment beyond. Back home in Thiruvananthapuram, not one title survives. I hope some kid; somewhere is still reading what I collected and drawing rockets and submarines. Slowly as Tintin titles became more easily available in India, we started buying the books ourselves (a visit to Kochi was always incomplete without dropping in at PAICO). One by one, we collected the titles mentioned on the back cover of every Tintin book. Then the search commenced to at least access and read titles not mentioned there; titles mentioned in Tintin lore or in conversation among his devoted fans. Meanwhile, my uncle’s children, Lakshmi and Hari, also grew interested in Tintin and started their own collection. I never outgrew Tintin. I can still pick up a title and enjoy browsing through it. In my adult life, the arrival of Steven Spielberg’s film on Tintin was a much awaited event. My favorite character was Captain Haddock and I was utterly curious to see how he would be on celluloid. I was disappointed and it isn’t Andy Serkis’s fault. My curiosity was in seeing which actor would pull off that role well and being an avid watcher of Hollywood films, I had even attempted some casting in the mind. As it turned out, the movie was made using motion-capture technology. That put it neither here nor there. It reminded me of the title: Tintin and the Lake of Sharks. Of all the Tintin titles I had, this one – assembled using stills from a 1972 animated film – had attracted me the least. When it comes to converting comic books to movies, I am not a fan of hybrid. After all, Tintin is not a Jungle Book, wherein modern animation technology makes animal characters life-like rendering the film a classic. Tintin sits firmly in the world of people and it surprised me that the producers deemed hybrid imagery, acceptable. I felt that was a letdown, considering Tintin has been portrayed before on stage and several other comic book heroes have been adapted brilliantly for the big screen. In early August 2017, Lakshmi mentioned that a prominent item at Hari’s home in California is a poster of Tintin. Among his favorite shops is one where he picks up “ his Tintin stuff.’’ It made me wonder: what made her father Narayana Pillai, pick up Tintin books in an era of closed economy in India? Laskhmi’s own take on it was that her father bought it for the children in the family but he wasn’t above reading it on a flight himself! But then, unlike today when the media floods you with trends instantly, those days a comic book hero from Belgium was as distant as Belgium itself. You were compelled to read about Superman, Batman, Phantom and Mandrake because they were around. But Tintin? He didn’t have any PR machinery promoting him in the Indian media. It left the question: how did Narayana Pillai born and brought up in the Kerala of the 1940s and 50s, come to know about Tintin? He had never shared those details. A day into recollecting my thoughts around Tintin, I called up my uncle at his home in Aluva. Now in his mid-seventies, he laughed upon hearing that the phone call from nephew nearing fifty years of age was connected to his Tintin purchases from long ago. There was no loss of time in recollecting details. The bulk of the Tintin books were sourced from a book shop at the Mumbai airport of old, which my uncle visited during his business trips. “ I used to look for illustrated children’s books. That’s how I came across Tintin. I flipped through its pages and felt the characters in the book were interesting. The hero was a young journalist. When I bought my first Tintin, I had no idea how it will be. But from that one book, we moved onto many more, possibly the whole lot…Hari’s collection is still here,’’ he said. Further, in as much as he bought the books for children, he loved reading Tintin himself. Make no mistake – this is not a gentle book on how to swim or improve your skills in the sport. This book is about competing and winning against some of the world’s best. Michael Phelps likes to compete. It took him all the way to titles at World Championships and the Olympics. Beneath The Surface – his autobiography – is an action packed-ride. Phelps starts human. At journey’s start there is that worry common to many of us – fear of water. It soon fades secondary to purpose found in life for hyperactive youngster. There is nothing like buckets of energy meeting well defined purpose. Notwithstanding humor and casual writing style, I found the book intense. It sticks to subject and packs in details. It isn’t just timings in finals that find mention; the timings in practice, at trials, heats – all get cited because at this level of competition every sub-second shaved, counts. A portrait of the world’s greatest Olympian and athlete comes alive in that space. 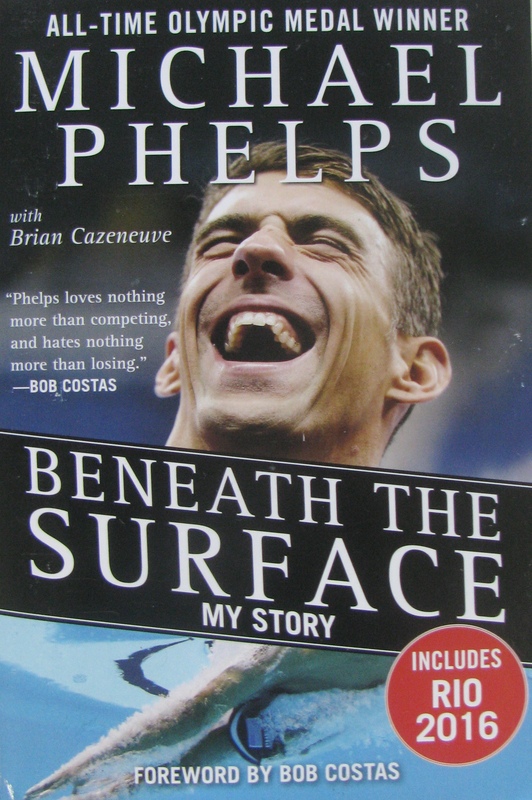 I read this book to know more about Phelps, an icon in my times. He had his idols – the Australian great Ian Thorpe finds ample mention. Mark Spitz, a legend by 1972, thirteen years before Phelps was born, makes an appearance. Given its central protagonist heads for the Olympics, you also get a glimpse of the Games and life at Olympic Games villages as seen through the eyes of a young, rookie Olympian, progressively moving on to – as seen by a star. 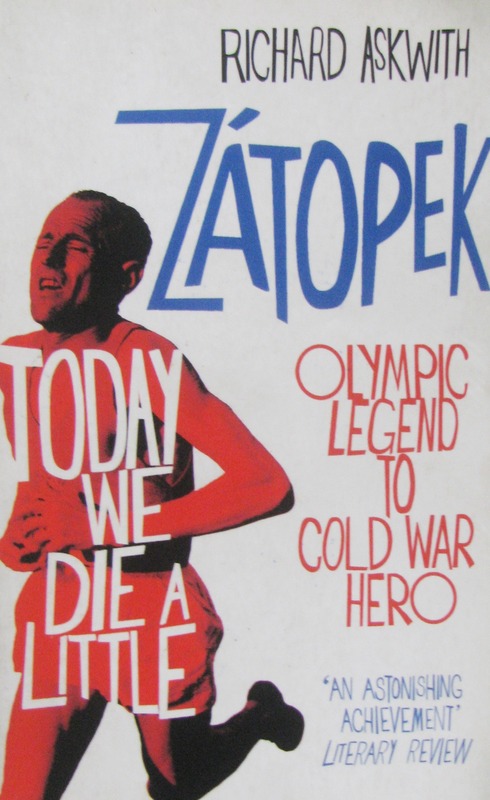 What struck me after reading the book was how much running dominates our idea of athlete. With no disrespect meant to the greats of track, fact is – Phelps has a breadth and depth to his swimming that makes glories elsewhere seem like a side act. He competes in distances ranging from 100m to 400m and that includes the individual medley, which requires you to be good at all four strokes used in swimming. He also participates in the relay; a discipline that brings out the thrill in being part of a team. He is a winner across these disciplines. Phelps tackles packed schedule with multiple swims – ranging from heats to finals – sometimes happening on the same day. If you dwell a bit on the level of competition at these races, the timings returned and the laurels at stake – you realize how energy sapping these performances are on participants. Not surprisingly, you are also introduced to swimmers swimming down after an intense session in the pool. It helps lower the lactic acid build-up in their body. And lest one forget, you cannot swim to such elite timings or face packed schedules at races, if your training sessions don’t push you to the limit. All this goes into the making of a top notch competitive swimmer. However for some reason, in our mind, swimming does not command the profile track athletics does. When we are asked about the greatest athletes ever, our mind quickly seeks names from the list of track athletes. Phelps talks of the popularity swimming enjoyed in the Australia of Thorpe’s time. He wishes the same was possible in the US and rejoices every time signs of it emerge. The autobiography embraces the reality of sponsorship and media. It describes how sponsorship, media and publicity are handled such that an athlete’s focus on his / her work is not disturbed by distractions. It casts light on the suggestions Phelps received on how to handle the media. Above all the book gives you a ringside view of what a coach means to athlete and how their bonding and collaboration work in modern sport. Phelp’s achievements are as much his as they are of Bob Bowman, his coach. Together, they work on perfecting Phelps’s techniques, hone his competitive instincts, smash world records and make the swimmer, the most successful Olympian yet. As important as Bowman in Phelps’s journey to greatness is his family. His mother and two sisters (both sisters are swimmers) are there for him. It clearly shows that while success has often been depicted as a person’s battle against odds including lack of family, the reverse can also be true – supportive family works. After 23 gold medals won at the Olympics, you don’t need more proof; do you? This is an interesting book. It is tad heavy on details around timing but it tells you what champions are made of, what their ecosystem is like. The book’s weakness is also pretty much the same. You get to know a lot about competitive swimming; not much about what human engagement with water through an act called swimming, means. The only character I have come across in my readings who avoids boredom like the plague is – Sherlock Holmes. It took me years to understand why I liked him so much. I credit the delay to our rationalization of the boring as essential ingredient for successful life. Boring is our Voldemort; we don’t speak of it lest we lose livelihood. In such a world – one that increasingly ignores what it means to have a brain – Holmes makes it alright to be you. His continued existence, even as fictitious character, assuages the sense of uselessness you accumulate for failing due to your own capabilities. Sir Arthur Conan Doyle created Holmes. But many others have contributed to his splendid evolution since, into an emblem of being alive. Between film and television, I believe it is the latter that got Holmes right. The late Jeremy Brett is the best Holmes I have seen. By that I don’t mean staying true to what the creator of the character wrote; I mean more bringing the character alive. However Brett’s Holmes is in a context from the past. There have been later reinterpretations of Holmes; attempts to position him and his stories in more contemporary ambiance. My initial fling with the two TV series – Sherlock and Elementary – made no impression. I couldn’t accept Holmes as super warrior adapted for digital age or Watson as a woman. I mentioned this the last time I wrote about Holmes on this blog. With more episodes watched, things changed. I am intrigued by the nature of connect these series have had on me. The connection is inspired less by Holmes and more by his immediate and extended ecosystem. That, I believe, is where the portrayal was tweaked for renewed appeal. The two series, while retaining Holmes’s known traits added new possibilities, particularly in the interplay between him and those around him. Embedded in the interplay are moments we quickly empathize with. In social response familiar to those staying single, the detective-doctor duo of Sherlock is sometimes mistaken for being gay as they are inseparable friends. When it comes to Holmes’s life and work, Watson, his wife Mary, Lestrade, Mrs Hudson, Molly Hooper and Mycroft – all form a protective ecosystem, alternatively frustrated by the consulting detective’s sharp insight delivered bluntly and admiring it. Moriarty vacillates between being an evil character outside of Holmes to being the stuff of his own mind; a natural and inevitable counterbalance to the faculties he possesses. In Elementary, Watson is a lady doctor who accepts a position as sober companion keeping an eye on Holmes, cast as a recovering drug addict. Elementary has Holmes based in New York and assisting the NYPD. In both TV series, the police as a whole are not welcoming of Holmes. But Lestrade and Captain Gregson, as individuals, are very supportive. There are two major factors common to both these TV series. In an episode from Elementary, as Holmes sits nursing a fever and the NYPD texts of a dead body found in an abandoned building, Watson reminds a Holmes eager to leave for crime scene that the police don’t pay him for his services. “ Watson, you should know by now that boredom is far more dangerous to my health than any fever,’’ he replies. As scathing and unforgiving are his observations of boring world, equally strong are his slides to vulnerability. Unlike the old Holmes with cocaine and Irene Adler for vulnerability, here the vulnerabilities are many and the occasions when they are on display are also many. There is a pronounced degree of seeming misfit. You have characters being publicly sarcastic of Holmes. Recall Sergeant Sally Donovan and her word for Holmes – Freak? The name calling doesn’t hurt Holmes. It hurts us Holmes fans. In Sherlock, he cracks up (remember the episodes around Watson’s wedding?). In Elementary, he often stands there like a person wronged. As Watson’s tenure as sober companion drifts to a close, Holmes admits in a moment of weakness that his life rendered dry and impassive by the science of deduction is not how he wanted it to be. He says that he would miss the collaboration with Joan Watson if she went away. What stifles a more direct plea for help and understanding is ego. Benedict Cumberbatch and Jonny Lee Miller – both fantastic as Holmes reinterpreted – have captured this struggle well. I found myself lapping up episodes from both the series. The above mentioned vulnerability, which probably strikes a chord with many, has been critical to Holmes’s continued evolution and presence in our lives. I suspect the reason it strikes a chord is because so many of us, while hardly as intelligent as Holmes or given to deduction, are nevertheless in terribly boring situations and unable to do anything about it. Our capabilities are wasted. We are intellectually alone. Society attaches little value to insights beyond the mundane. Money favors that which matters for its growth and mundane fits the bill eminently. Money also likes stability. If you aren’t naturally wired for enduring this combination or lack compelling reason to tow its line, you risk becoming outcast. For some of us at least – the ones declining to endure such boredom or asking questions about it – our vulnerability stands exposed. We wish for Watsons and Molly Hoopers to emerge by our side. We crave supportive ecosystem, even if it be four or five people, which is all Holmes has. From attracting us by his riveting brilliance as consulting detective, Holmes has transformed through the past few decades to attracting us for how he pays for his brilliance – there is his loneliness, there is his isolation. Given perspective is a product of subject and beholder, Holmes’s transformation is equally a commentary about the beholder. It is a state of the world report. 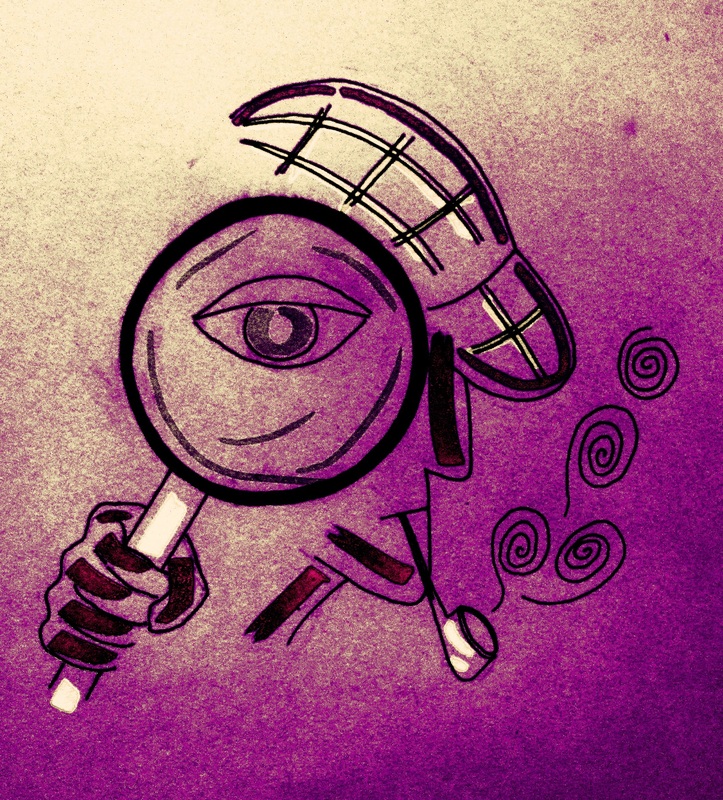 Brett’s Holmes was a wonderfully engaging portrait. We peered through time into the goings on at 221B Baker Street; it was a period of syringes reused and carriages drawn by horses. In contrast, the Holmes of Sherlock and Elementary remind us of contemporary predicament. He becomes a figment of our straightjacketed brain navigating environment dismissive of its insight and creativity. The ecosystem offered by Watson and Holmes’s few other friends keep him as what he is while Moriarty, cut from the same fabric, represents what can dangerously be.